The WORD of GOD is awesome in its power. There are thousands of verses in the Bible, which on their own carries great impact and meaning, if we were to read and receive it, meditate on it and believe in it. Two earlier books covered on Exodus 23:25 and Exodus 34:6. 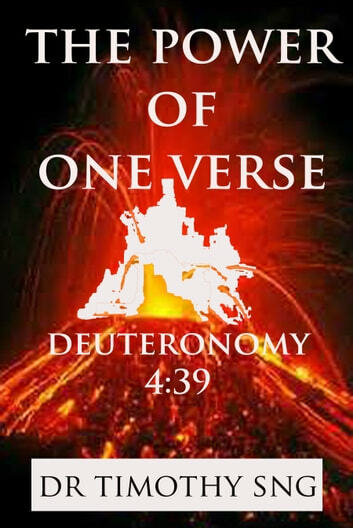 This book reveals Deuteronomy 4:39 as a powerful truth that GOD is One, and that there is no other, and God is the God of Heaven above and the earth below, and His Name is The LORD, The LORD GOD Almighty.